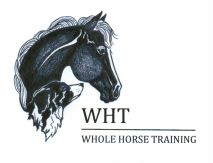 Level One provides an introduction to the ancient healing art of Jin Shin and its applications to work with horses. Level One focuses on the history and teachings of Jin Shin, the differences between the Eastern and Western approaches to health management, the concept of Qi (chee) as it flows through the body, an introduction to reading pulses, and the consciousness of the energy release points that relate to mental, emotional, and spiritual aspects of well-being. Level Two delves deeper into the practice of this ancient healing art with a more in depth look at the way the body speaks to us through pulses, an introduction to the Five Element Theory and work with energy flows that address physical aspects of well-being. Feeling the energy as it flows through depths to identify and clear energy blocks and organ flows are the focus of the practice in Level Two.